Hard water is a big problem. In simple terms, water rich in minerals such as manganese, magnesium carbonate or calcium is labelled as hard water. It is not a health issue but it creates a lot of problems as hard water leaves scales everywhere and you won’t find it easy to wash your clothes or dishes in hard water. This is the reason people living in regions with hard water need to install a water softener in order to get rid of the minerals in the hard water. One of the biggest problems with buying water softeners is that there are dozens of options available in the market and there is a lot of misinformation regarding the effectiveness of certain kinds of water softeners. So, follow the tips mentioned in the article below in order to choose the best water softeners for your needs. 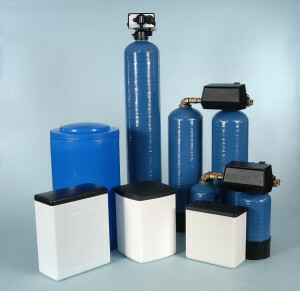 There are many different types of water softeners available today. One of the most common types of whole house water softener is an ion exchange based softener. In this kind of softener, the water is cycled through two tanks containing brine and special resin beads. This type of water softener works on the principle of ion exchange where the hard minerals such as iron, magnesium and calcium in water are replaced with a substitute such as sodium. If you want to learn more about how a conventional water softener works, there are several guides available online that can help you figure out the inner workings of ion based water softener. Another popular solution for hard water is salt free water softener. This water softener is a descaler as it doesn’t get rid of the minerals in the water but prevents the hard minerals from getting deposited as scale to pipes and other appliances. As far as the effectiveness of different types of water softeners is concerned, many experts are of the opinion that the salt free water softener may not be as effective as the salt based water softener but it’s better to have something than nothing at all. There are also some magnetic water softeners available today. These softeners work by creating a magnetic field to change the electromagnetic properties of minerals in the hard water to prevent them from getting stuck to pipes and other appliances. All the different types of water softeners have their own pros and cons, and your choice will depend on your particular needs as well as the level of hardness in the water in your household. As far as choosing a water softener is concerned, one of the most important things you need to keep in mind is the size of the water softener. These reverse osmosis water systems are available in a variety of sizes and each softener carries a rating describing the number of grains of hardness it can remove between regeneration. You also need to make sure that the water softener is capable of handling the regular demands of your household. To give you a rough idea of the size of water softener you may need, considered the fact that an average person needs around 75 gallons each day. So, you can calculate the water usage of your household by multiplying the number of people in your family by 75. This number needs to be multiplied by the number of grains per gallon of water to calculate the capacity of water softener required in your house. Overall, there are many different types of water softeners available in the market today but you should keep the above mentioned tips in mind in order to make the right choice.